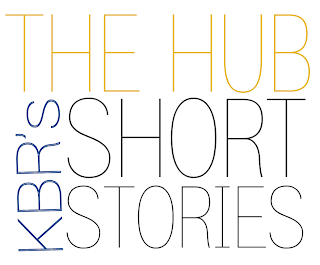 Home » KBR Short Story » KBR Short Story: What a Mess! KBR Short Story: What a Mess! Dex huffed and puffed and stamped his feet. There were dirty socks and smelly jocks, books and blocks and broken bits, puzzle pieces and much more all sprawled across his bedroom floor. Cleaning up would take all day — he’d never get outside to play! 'It won’t take long,' Mum reassured. That’s when Dex had a great idea. He scooped up all the messy things into one big messy pile. Then they disappeared right under his bed. 'All clean!' he called. Soon the void under his bed was filled with other things. 'I don’t know where things disappear to in this house!' Mum said. Then one day, when it was too wet to play outside, Dex was bored. His toy shelf was bare, his books were gone and his room was all clean. Everything had been put under his bed. He slid one arm underneath his bed and felt around. Nothing. He reached out his fingers. Still nothing. He squeezed under, as far as he could go, and that's when he fell straight down. 'Aaaaaaaargh!' he cried. Then something caught him. He was stuck in the branches of a tree. Not an ordinary tree. The leaves looked just like socks and they smelt bad! It was a Dirty Sock Tree. What a shock he got when he peered down and saw a whole jungle of Dirty Sock Trees growing right under his bed. Twisted amongst the trees were vines of odd shoes, their laces tied together. Dex grabbed onto one and scaled his way down the very tall tree, trying not to catch a whiff of the socks. Just then Dex saw a little knitted monkey come swinging through the trees. 'Hey, I remember you!' Dex said. 'Not tall enough,' replied the monkey. 'What about that?' asked Dex and pointed to a pile of underpants in the distance. So they trekked through books and crumpled paper until they got to the enormous mountain of jocks. Up they climbed but with every step they felt the jocks sink beneath them. 'We’ll never get up there!' the monkey cried. Suddenly Dex had an idea. He tied two pairs of jocks together … and another … and another, until he had made a giant pants catapult. In one giant ping they shot up into the air and landed in a big pile of mess on Dex’s bedroom floor. 'You’ll need to pack it all away before you go outside today!' Mum said. And he did. Kristy Jaeckel writes children's stories as a hobby and enjoys submitting her work to Kids' Book Review's Short Story Challenge every month.